Workers in Samsung semiconductor plants who have contracted cancer are fighting their former employer—and their government—for compensation. 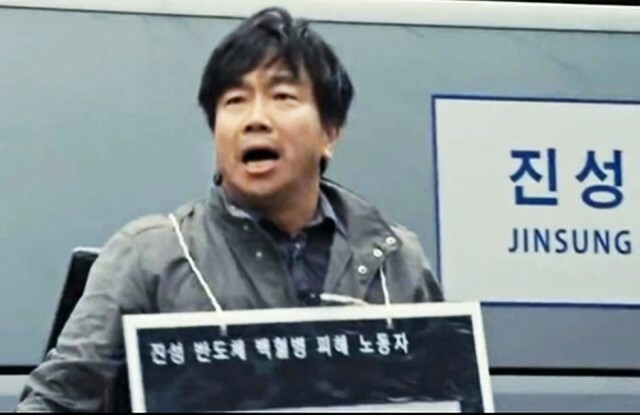 Their fight has become a very public controversy in Korea, where two new movies tell the stories of young female workers who contracted cancer while working in Samsung chip factories. The workers' families have been trying to use Korean courts to obtain compensation for seven years without success. The story of those workers, and the unprecedented public debate about the dark side of Samsung, is detailed in a feature story published today by Bloomberg Businessweek. As the story notes, many Koreans "revere" Samsung Group, as its companies contribute a stunning 24 percent of their nation’s GDP. In 1961, South Korea was a war-torn country with a GDP less than Sudan or Sierra Leone. Today it’s the world’s 15th-largest economy.